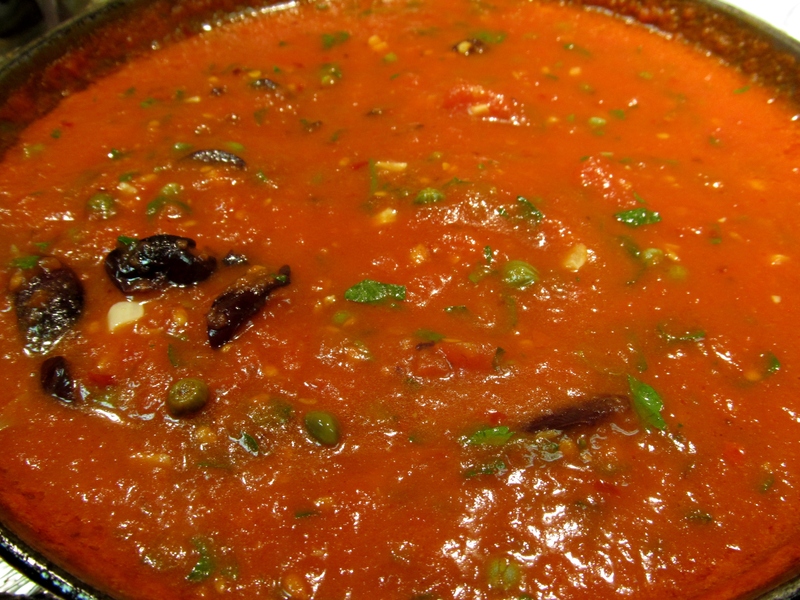 Kitchen Wisdom Gluten Free Puttanesca Sauce (or whore’s sauce in Neapolitan) is fast, hot and quick! It is just perfect for a speedy after work meal! I often add a lot of extra parsley than noted in this recipe, to increase vegetable. Also, for a protein packed meal, toss a can of Italian tuna in oil (drained) with the pasta, then add the sauce. 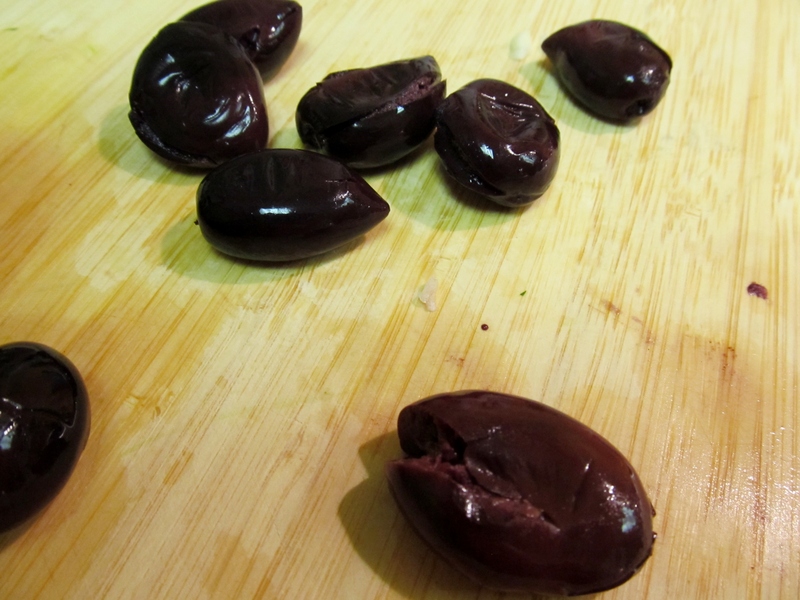 Don’t forget that many brines contain vinegars wtih a gluten source grain, if vinegar is present, be sure to always purchase gluten free capers and olives. Enjoy! Put up pot of water to boil for pasta. Sauté garlic & crushed red pepper in olive oil in a sauté pan. I like it hot – do you like it hot? 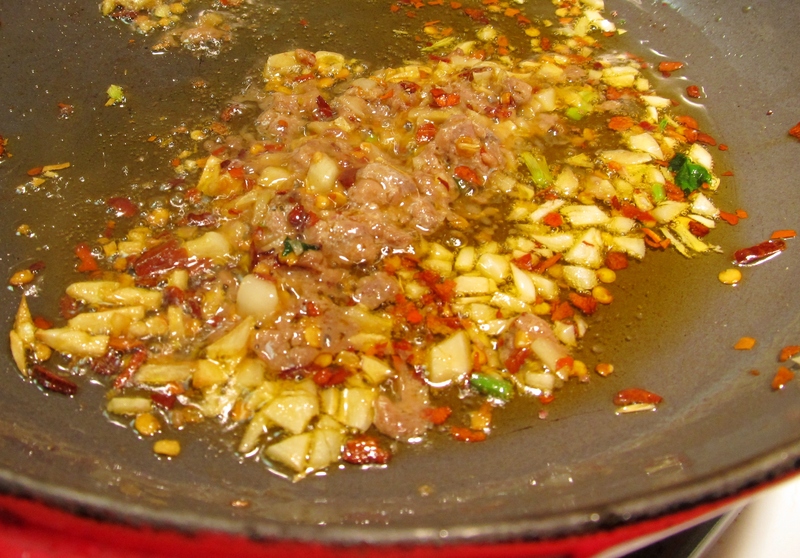 Add the crushed red pepper to the oil at the start infuses the oil with the chili and the heat. Once the garlic wilts and the oil is distinctly tinged red (or not if you don’t like too much heat), then add the can of crushed tomatoes, once it comes to a rolling simmer and reduce heat. Allow the sauce to simmer 10-15 minutes. Add 1/3 cup parsley, capers & olives. Cook another couple of minutes. Because this dish has fish, it isn’t customary to serve with grated cheese, but some folks enjoy it with grated cheese, do what pleases your palate. Serve with the remaining fresh parsley atop the fresh servings, with freshly milled black pepper. 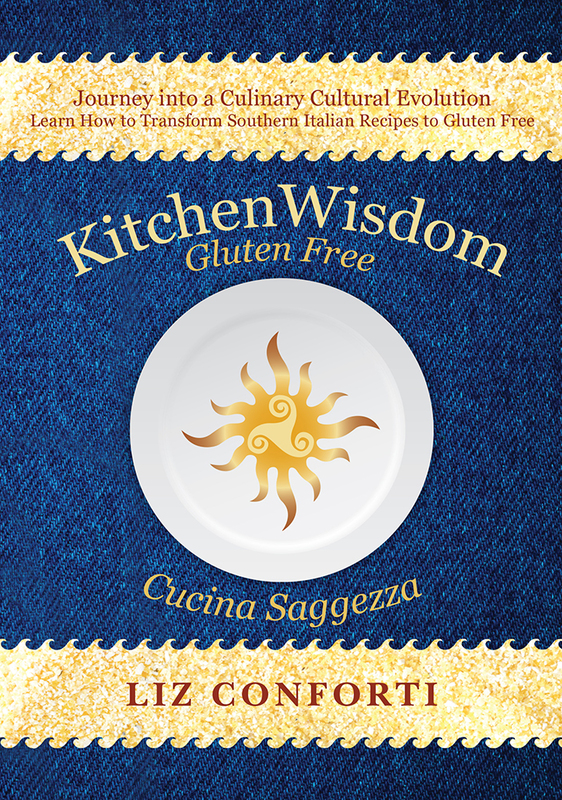 Kitchen Wisdom Gluten Free: Journey into a Culinary Cultural Evolution & Learn How to Transform Southern Italian Recipes to Gluten Free…Experience a Kitchen so Delicious, Those Who Can Eat Gluten Choose Not To! Available formats: eBook, & Paperback; On amazon.com, and at Select Vermont Retailers. This entry was posted on March 22, 2017 by kitchenwisdom2013 in forget what you know about wheat, gf, GF Ingredient, gluten free pasta recipe, gluten free pasta sauce, kitchen wisdom gluten free, pasta puttanesca gluten free, pasta puttanesca recipe, Uncategorized and tagged anchovy, caper, entree, Olive, Pasta, puttanesca, sauce, whore's.